When it comes to finding a smart, efficient vehicle that’s as good at winding through narrow city streets as it is cruising down the highway, your choices might seem a bit few and far between. Whether it’s wading through lot after lot of bulky crossovers or chunky sedans, finding a quality compact vehicle that packs both modern entertainment and a respectable fuel economy might seem like a dream better left for the future – but not anymore. That’s thanks to the brilliant minds over at Chevy, who’ve combined decades of experience building powerfully efficient vehicles with an eye for today’s most modern amenities and technologies to bring us the 2016 Chevy Spark, a surprisingly sporty and undeniably fun compact model with all the fuel-saving performance you could ever ask for. Whether you’re a longtime Chevy fan or simply looking for a great, affordable, and efficient model to get you around town, the 2016 Spark is an excellent choice to help you save cash both at the dealer and, later on, at the pump. Here’s a quick look at everything that’s so great about the 2016 Spark, and why this scrappy Chevy might be exactly the compact cruiser we’ve all been waiting for. It’s not so easy to find a compact model that so seamlessly blends sporty, spirited performance with such a street-smart style – and the 2016 Chevy Spark does just that in spades. 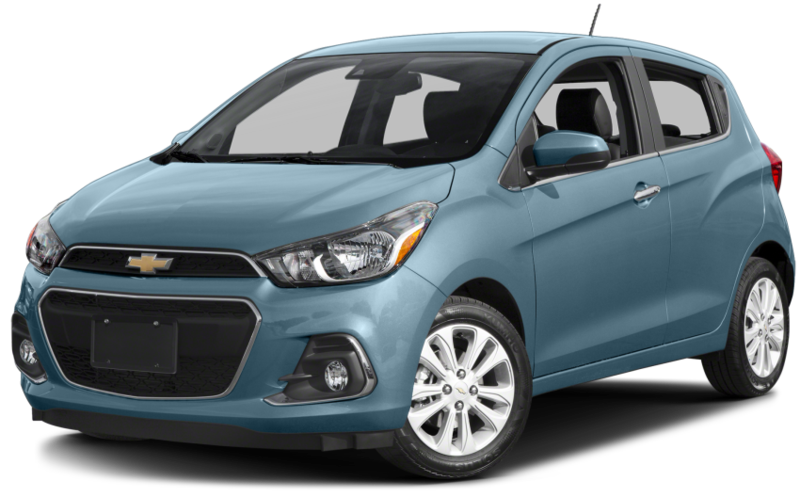 Combining the sleek aerodynamic design of a finely crafted modern vehicle with the reliable power and efficiency of Chevy’s impressive engine technology, the Spark manages to delight drivers with every mile driven – not to mention every gas station passed by on the way. Boasting an impressive 1.4-liter dual overhead cam I-4 engine mated to either the standard 5-speed manual for seamless driver control or the Cross Variable Transmission, which brings easy adjustment to throttle input and speed for a comfortable and easy ride. This capable powertrain manages to pump out an astounding 41 miles per gallon highway, meaning you’ll be able to take on any long trip without fear of breaking the bank on fill-ups. And with this engine able to reach up to 98 horsepower, this mini-machine packs plenty of punch to make sure you can take on the roads with confidence no matter where you roam. The Spark’s small size and squat frame allow for extremely nimble handling – perfect for whipping around city blocks and taking on tight spaces with the ease and confidence that only come with a compact. And with standard features like four antilock brakes, Hill Start Assist, and Electronic Stability Control, you’ll be able to take on terrible conditions with peace of mind even in this sporty compact option. Typically, the first thing that comes to mind when consumers think of compacts is not “comfort.” These vehicles have a reputation for skimping on interior space in the name of reducing size, often at the expense of comfortable leg or head room, or with no cargo room to speak of. The 2016 Chevy Spark flips this expectation on its head completely, offering plenty of comfortable space on the inside to match its impressive and stylish exterior. Take one seat inside the the 2016 Spark and you’ll see just how much room Chevy managed to fit in this handy compact, which boasts comfortable seating for up to four passengers and an astounding 27.2 cubic feet of available cargo space for all your biggest and most important gear, meaning you’ll never have to limit your luggage again simply because you can’t afford the space. Riders can sit back and relax in luxury thanks to high-back bucket seats up front and premium cloth and vinyl upholstery throughout, offering a cushioned and comfortable space for you and your passengers to spread out and get comfy even on long road trips. Single-zone air conditioning, USB and auxiliary power ports throughout the cabin, and storage compartments for all your most vital gear help everyone riding along stay organized and stay charged on any trip, and added premium features like the leather-wrapped steering wheel reserve a little something special for just the driver. Whatever your choice, the 2016 Spark promises one of the most satisfying interiors among compacts in its class for this year – and it only takes one ride to see just how well Chevy made this happen. Get ready to turn heads as you cruise down the street in the new 2016 Chevy Spark, which comes complete with Chevy’s most modern design elements to date to really help you take on the city with style. A standard rear spoiler, standard body-color door handles, and even halogen headlamps all help bring that extra something special to the Spark’s overall appearance, while premium elements like the standard solar-absorbing glass helps reduce your Chevy’s interior temperature on hot days to make getting in a toasty car that much easier. And for those looking for truly untouchable class, optional upgrades like the chrome liftgate trim and chrome belt-line moldings add that special something to make your Spark stand out above the rest with ease. These days, it seems like the tech that comes with a new model is almost as important as the rest of the model itself – from engine block to tires. Customers are looking more and more for modern tech in their new vehicles, whether it’s to provide top-quality entertainment with seamless mobile connectivity or to keep everyone safe using advanced and preventative safety tech. Whatever your reason, it’s not foolhardy to demand modern tech in your new vehicle – and the 2016 Chevy Spark definitely delivers on that front. Looking to really dive into your favorite music, radio, and entertainment options out on the road? Look no further than the 2016 Spark’s standard 7-inch diagonal display, which offers drivers the chance to connect to everything from music, audio, and navigation through seamless operation on the road, to mobile connectivity through Android Auto or Apple CarPlay. 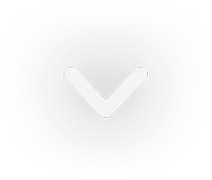 Just connect your compatible smartphone or other device and use the intuitive tablet-like touchscreen in the center dash to set the mood however you like it. The reliance of a 4G LTE Wi-Fi system with a mobile hotspot comes complete with a three-month trial subscription to SiriusXM Satellite Radio and access to all your favorite apps and calendars through Google to really push the Spark into the modern era – meaning less time off-the-gird while driving and more time enjoying the ride with the power of connective tech. While many of the Spark’s most impressive tech features might be dedicated to keeping you entertained, few do more real good than those dedicated to keeping you and your passengers as safe as possible out there on the road. Just take the standard advanced airbag system, the standard rear-vision camera with available rear park assist, and tech like Traction Control and Stabilitrak stability control with Brake Assist, all of which work in unison to keep your Spark safely on the road no matter what it might challenge you with. And with optional preventative tech like Forward Collision Alert and Lane Departure Warning available at your discretion, you can control just how much the Spark works with you to keep you and your passengers as safe as can be out there. When you’re ready to get started on your new 2016 Chevy Spark adventure, there’s simply no place better to get you situated with the right Spark for you than DePaula Chevrolet. At DePaula, the talented and professional sales staff comes ready with tons of knowledge to help you figure out exactly how to find and finance the perfect Chevy for you. Contact DePaula today and get into a Spark for your very own – and don’t be surprised if you find yourself loving it.